Emmis was born and grew up in Joelton, TN and west Nashville. He was a salesman and sold paint for several companies in the Nashville area, the main one being United Paint Co. In 1968 he moved to Goodlettsville and worked at Moore’s Paint and Wallpaper Store until his retirement. Before the age of computers he was well known for his ability to match almost any color. 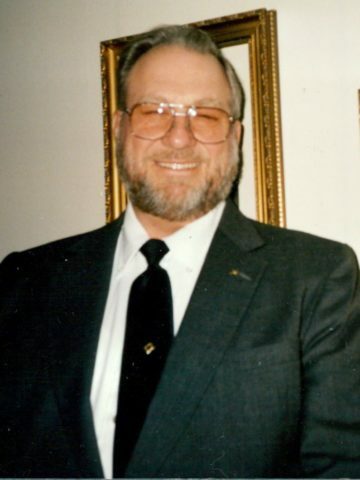 He attended Goodlettsville Cumberland Presbyterian Church and was a former deacon and elder. He loved fishing and gardening, and furnished tomatoes for family and friends. He was preceded in death by his parents, John C Hunter and Edith Hulan Smith; his wife of 68 years, Ann Elizabeth Jakes Hunter, and sister, Willadean Winters. Survived by his sons, Emmis Wayne (Karen) Hunter, John Glen Hunter, Robert Harville Hunter, and Charles Ray (Sarah) Hunter; eight grandchildren and ten great-grandchildren. Visitation will be at Cole & Garrett Funeral Home, Goodlettsville Tuesday from 4-8 pm, and Wednesday February 13 from 11 am until service time at 1pm. Interment Mt. Olivet Cemetery. It was such a pleasure to live as neighbors with the Hunter family. While I was the babysitter for Wayne and Glenn, I am sorry that I did not know the other sons well. I have such happy memories of the family and treasure the friendship still!! Wayne, I am so sorry about your father. We just buried my mother this past Sunday. She would have been 100 July 1.